No parent ever wants to see his or her child suffering from discomfort. 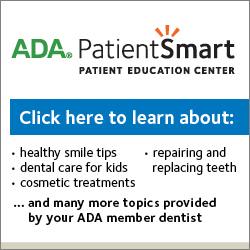 Please see some tips below for some common pediatric dental emergencies. If you are unsure what to do, call our office number. We have someone on call 24/7. If you feel that your child has suffered a serious injury (including severe swelling around the face and gums, uncontrollable oral bleeding or a sudden painful injury to the teeth, jaw, face or head) – call 911 immediately. A child with a knocked out tooth should be evaluated by a dentist as quickly as possible. Call our office number right away. If it is after hours you will be forwarded to our on-call system. The most important thing to remember about a knocked out tooth or teeth is how to preserve them, especially if you are dealing with a permanent tooth. The key is to keep it moist or damp. Before you pick it up make sure that you do so from the top of the tooth, not the bottom of the tooth as you could touch and damage the roots. For older children, gently place the tooth back into its socket after cleaning it with warm water, and have the child hold the tooth in place by biting on a gauze pad. Do not place a knocked out tooth back inside a younger child’s mouth, as he or she may swallow the tooth. If unable to place back in the child’s mouth, place the tooth into a cup or baggie of milk and bring it with you to our office. Contact us immediately! Time is a critical factor in saving the tooth! An abscessed tooth is an extremely painful infection that forms inside the tooth’s root. If an abscess is present, your child may suffer from swollen gums, fever, or a bad taste in his or her mouth. Call us immediately if you suspect a tooth abscess, as the infection can spread to other areas of your child’s body if left untreated. A cracked tooth is not as serious as a knocked out tooth, but it still requires an emergency dental visit. Have your child rinse their mouth out with warm water until you can no longer see blood. Once the mouth is clean, apply a clean, cold compress to the area to limit any swelling or pain. Clean the area of the affected tooth thoroughly. Rinse the mouth vigorously with warm water or use dental floss to dislodge impacted food or debris. If the pain still exists, contact our office. DO NOT place aspirin on the gum or on the aching tooth. If the face is swollen, apply cold compresses. Schedule an appointment as soon as possible. 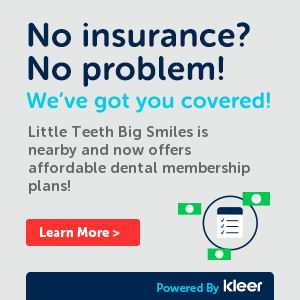 How much does an Emergency Dental visit cost? The cost will depend on what treatments are needed to resolve your child’s symptoms. We understand that unexpected emergency care can put a strain on your family’s budget. Our office offers a number of different financing options to ensure your child’s needs are met. Please call our office with any additional questions.